Friends, perhaps you have heard of this amazing novel Ancillary Justice? If no, please read Liz Bourke’s review. I’ll wait…. Ok! 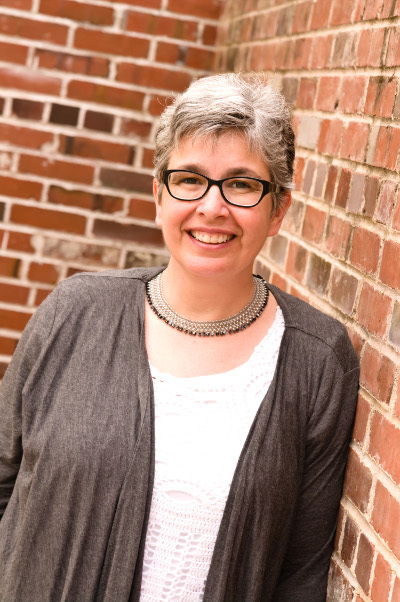 Welcome back – and we are so pleased to have Ann Leckie as our guest for the final Cooking the Books of the year. That is Ann Leckie, friend to all, drinker of tea, purveyor of kindness at conventions, Ann Leckie, science fiction novelist whose first book has hit NPR’s Best Reads of 2013, and pretty much all the lists, everywhere. Including here. This Ann Leckie. Of whom I think very highly. We will be talking solely about tea. And, possibly, curry. You will shortly see why. Please stay tuned to the end for an important announcement about a giveaway where you could win a 6oz tin of loose tea (YES TEA!) that is entirely relevant to both Ancillary Justice and this conversation. In Ancillary Justice, tea is sometimes a staple, sometimes a luxury item – for instance, citizens relying on the baseline free supplies from the Radchaai don’t get tea, or not very good tea. Can you talk about the classes of tea culture? I think of tea in Radch space as being one of those “essentials” that’s actually an extra–a baseline requirement and indication of civility and civilization that actually isn’t truly freely available to all citizens. You’re right, it’s not part of basic rations, and it’s in a lot of cases a powerful reason for wanting more than just those basic necessities. Tea is also part of the gift-giving end of Radchaai culture. A patron might supply a client with a tea she otherwise couldn’t afford, or tea will be part of a gift exchange between more-or-less equals, or given to a superior in the hope of favor or some sort or reciprocal gesture. At its lowest-class, cheapest end, we’re talking leaves and floor sweepings, minimally processed, packed tight into bricks and shipped in bulk, very slowly. At the high end, rare, single-estate teas, or teas with delicate processing methods or long aging periods. The most luxurious, prestigious of teas won’t be buyable, except possibly from the grower herself, but more likely you’ll have exchanged gifts for it, and give it as a gift to someone you want or need to impress very much, or need a very large favor from. Does Breq have any rituals regarding tea? Are they “traditional” rituals or has she made her own? Breq only started drinking tea when Seivarden began making it for her, when they left Nilt. And Seivarden’s habits are, of course, somewhat antique, upper class Radchaai who’s served in the military. This, of course, is entirely familiar to Breq, who served tea in the same way to her lieutenants. I’m not a hundred percent sure what the details of that would be–I’ll only know if it comes up in a story! I’m fairly sure, though, that one peculiarity of military tea consumption is that leaves will be re-used much longer than most wealthy Radchaai would stomach. When you’re at an annexation, or stationed some distance from a source of things like tea, you’ve only got so much to last you. Elsewhere, multiple steepings of various lengths might be standard for certain kinds of tea, even required, but a military decade room might use the same leaves for a couple of days, even if they’re not the sort of tea that stands up to that kind of thing. I do know, however, that there are regional differences in the way tea is “properly” served and drunk, but most Radchaai would be astonished to realize it. Most assume that their way of drinking tea is just the civilized way to do it and all Radchaai do the same. Do I have to pick? Honestly, it depends. Right now, probably a nice oolong. That’ll change. In a star-faring culture, how is tea procured? Is it shipped? Is it standardized? Tea is grown on planets–there might be stations large enough for significant tea growing, but I don’t know where those would be, or how many of them there are. So, when the Radchaai annex a system with one or more terraformed planets, they sometimes allot land for growing tea and give that out to houses that have already specialized in that, or that are ambitious to begin. Some growers have very large stretches of land which they use to produce the standard sort of tea, processed quickly and formed up into bricks and shipped out in huge amounts, in some cases just packaged up, with a beacon attached, and pushed through a gate to slowly sail on to the other side and be picked up and distributed–some to shops, some as gifts (because even if you can’t afford the expensive sort, tea is a nicely “proper” gift that’s welcome nearly everywhere). This is largely standardized, and very profitable. There are, similarly, large growers who produce more affordable (and less prestigious) versions of the high end teas–that generally get treated the same way as the standard brick tea, which is one of the ways a nouveau riche can embarrass herself, actually, particularly outside the military (though even there one is expected to know the difference between the various sorts, and One Esk would never have brewed one at a temperature more appropriate for another, for instance). These aren’t (usually) bricked, but are shipped in much the same way, and are often bought in huge amounts and then blended (with other teas, or with flowers or dried fruits or other flavors) and sold in shops, a step above the baseline brick tea. Then there are the smaller operations that produce various high-end teas, of various types, some blended, some “vintage” and all quite expensive. Where does the tea culture originate in this universe? From the conquered people or from the Empire? It originates from the Radch itself–though some of the sorts of tea are products of assimilating annexed cultures. Do your favorite books have tea in them? Well, C.J. Cherryh’s Foreigner series certainly does! Though I don’t think it can really be camellia sinensis, still, tea and tea drinking is an extremely important part of the culture of the atevi we meet in those books. Coffee is all right. It smells wonderful. Doesn’t taste quite as lovely as it smells, and needs a lot of milk to make it palatable, usually, but it does have more caffeine than tea, so I tend to start the day off with a cup of coffee and then switch to tea. And when I’m out, at least in the US, it’s hard to find good tea, so I rarely order it, and have coffee instead. Unless it’s summer, of course, because the US is swimming in *iced* tea. But I’ve liked tea since I was quite young, actually, still in grade school. Coffee, on the other hand, was something I learned to tolerate in college. And since I was building my sfnal universe out of things I found shiny, I picked the drink I actively liked. Depends! A nice chewy English Breakfast does want milk. Other teas, not so much. Many USian teas labeled “English Breakfast” are not, in fact, very good with milk, and for a while I’ve been wondering just how various “English Breakfast” sorts of teas can even sell when they’re so wimpy–but I’ve discovered that many of them are perfectly cromulent teas when you don’t put milk in them. I suspect that’s because most Americans don’t put milk in their tea (regular American grocery store orange pekoe, for instance, is far too wimpy for milk), so why blend it that way if you know you’re selling to Americans? But as far as I’m concerned, there’s not much point calling a tea “English Breakfast” if it doesn’t really need a nice sploosh of milk in it to make it what it should be. That said, lots of lovely teas aren’t really meant to have milk in them, and those I much prefer without. If you could make a tea set for any fandom, what would it be? What would the teas be like? I love the idea of fandom tea blends, I have to say, and I think Adagio’s seizing on that, on the potential of it, is brilliant. And I love how many people have been playing around with it, coming up with so many different, fabulous things. I’ve turned in the second book, Ancillary Sword, and now I’m starting on the third, Ancillary Mercy. What happens after that, I have no idea just yet. The Prize: One 6oz tin of your choice: Justice, Propriety, OR Benefit Tea, created by Ann Leckie at Adagio.com. 1. Tweet #ancillaryjustice #cookingthebooks #[YOUR FLAVOR CHOICE]* and the link to this post between December 17 and December 23. *For ‘YOUR FLAVOR CHOICE,’ choose Justice, Propriety or Benefit. How Selected: Random sort, using Random.org. How Many Times Can You Enter? : Once. Winner will be announced by me on Twitter and Facebook the evening of December 23. My recipe is one I got from my mom. She got it, I’m told, from “The White House Chef Cookbook” by Rene Verdon. Or, more accurately, I think, from an excerpt from that cookbook that was published in a magazine around the time it came out. I can’t find the photocopy of the original page that she gave me when I asked for the recipe, but this is how I make it, anyway. The recipe calls it “Chicken Madras” but we always just called it chicken curry. 1 whole chicken, cut up (or the equivalent in pieces, if you just want/have thighs or whatever. Bone-in gives the best flavor, but you can even make this with pieces of already cooked, diced leftover chicken). 1/4 cup flour and 1 Tablespoon of curry powder for dredging the chicken, if you’re using raw pieces. Trim the chicken if needed. Mix the first bit of flour and curry powder (and some salt if you want) and dredge the chicken. Heat some oil in a large skillet (preferably one that has a lid) and brown the chicken on both sides. Remove from the pan and set aside. (You can actually skip this step and go straight to sautéing the onions and apples, but it’s yummier if you brown it first). Put the chopped onion and apple in the still-hot skillet and sautee it until the onion is, you know, done. Translucent and soft. Add the 1 Tablespoon of curry powder and stir around and let that cook a bit. Then add the 2 Tbs flour and 1/2 ts salt and stir that around and cook it a bit. (I sometimes add a nice dollop of ginger garlic paste here, but it’s not in the original recipe and my mother knew nothing of the existence of ginger garlic paste). Add the chicken broth/stock, and stir while it comes to a boil and thickens. Put the chicken pieces back in the skillet–be sure to get the sauce all over the parts that stick up–put the lid on, and simmer it until the chicken is done. While the chicken is simmering, you’re going to make some rice, and chop up a few hard boiled eggs, and put some raisins in a cup and pour boiling water over them and let them sit and puff up some. The rice and sauce is extra delicious with some egg and raisin sprinkled on it. You might need to adjust the flour and/or curry powder if it’s too hot/not hot enough the first time you make it, or if it’s thicker/thinner than you’d like. I like the sauce fairly thin, and only a small tickle of heat, myself. I always get “mild” curry powder, or when I’m feeling extravagant, I get Penzey’s Maharajah Curry Powder. As I said above, this tastes its absolute best if you use chicken with bones in it, but it will work with basically any kind of chicken you’ve got on hand, including leftovers. Don’t feel like peeling apples? You can leave them out, though it’s not quite as yummy. It’s really versatile–once you know the basic technique, you can essentially throw in anything you like. Throw in peas or carrots or whatever veggie seems good to you. Make it simpler or more complicated–stripped down to its simplest components (meat, curry powder, stock, flour to thicken, rice) it can make a pretty quick, good tasting supper with very little effort. It’s a definite fave of mine, and has been since I was a kid. Ann Leckie has published short stories in Subterranean Magazine, Strange Horizons, and Realms of Fantasy. Her story “Hesperia and Glory” was reprinted in Science Fiction: The Best of the Year, 2007 Edition edited by Rich Horton. She is the founder of GigaNotoSaurus. I tweeted per instructions above to enter Fran’s contest to win Ancillary Justice themed tea! You should too. Our discovery was that UK teabags even of the same brands usually contain more tea than US ones; thus the wimpiness…. ooo! I will now have to experiment with that! Because I do like a nice strong, milky tea sometimes. Thanks! Tweeted! And the hardest part was trying to figure out which of the teas to pick. Dang, even if I do win, I may still have to buy some! Tweeted. I love the idea of fandom tea blends. Thanks, Ann and Fran! Tweeted. If I don’t win, I’m going to have to order them anyway. Fun interview! I tweeted to win Justice! Tweeted! Congrats to you both! Tweeted. And I take full responsibility for hooking Fran on Adagio. It’s all my fault. I am a bad person. I sure would like more propriety in my life (um, maybe). Tweeted! I should be taken out behind the barn and shot for using hashtags outside of a tweet. I, too, have tweeted, with only a minimum of prodding to actually follow the contest directions. Tweeted! That benefit tea looks awesome. Tweeted! My go-to tea is a big bodied Assam. Tweeted! https://twitter.com/BrentaBlevins/status/415274333766840320 Ah, Adagio Teas…. Thank you to everyone who entered! The winner of the giveaway, based on random drawing from random.org is Nicole Feldringer. Congratulations, Nicole!